TRUE Mentors Announces the 9th Annual Hoboken Chili Cook Off & Homebrew Contest! TRUE Mentors is excited to announce the 9th Annual Hoboken Chili Cook Off & Homebrew Contest Saturday, March 10th, from 2-6pm at Our Lady of Grace (located on the corner of 4th Street and Willow Avenue). The Hoboken Chili Cook Off & Homebrew Contest will host live music by beloved local band Gravy Train, tasty homemade chili and amazing small batch beer, both crafted with love by your own friends and neighbors in Hoboken. Prizes will be awarded to the top chili and homebrew entries by a panel of judges. 100% of proceeds go towards supporting the children of Hoboken. Tickets are available now. The contest will be TRUE Mentors’ first “TRUE Starts with YOU” fundraising event, celebrating the special community that TRUE Mentors has built in collaboration with people like you. From individual donations to personal fundraising using social media, from teaching Hoboken’s children any of your interesting skills during one of their rewarding club meetings to attending one of TRUE Mentors’ many other community-oriented events throughout the year, your participation makes all the difference. So come to the annual Chili Cook Off and Homebrew Contest to eat good food, imbibe some brew and help support Hoboken’s unique non-profit for the children – because TRUE really does start with YOU. 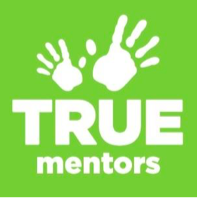 TRUE Mentors is Hoboken’s only one-to-one mentoring program matching children ages 7 – 17 with adult mentors in the same community. TRUE Mentors’ mission is to unearth the potential of children and mentors through relationships. Our mentors become a trusted friend and champion to our children. In addition to mentoring, TRUE Mentors offers weekly classes during the school year and a teen internship program to unearth potential in group and workplace settings.